Additional services may be provided upon request and may include a fee. Home inspection receives $25.00 off if paid at time of inspection. We accept all forms of payment including American express, Mastercard, Visa, and Discover. Inspections outside of Natrona and Converse counties may be subject to price adjustment due to travel times. Mountain Peak Property Inspections is a Wyoming based complete property inspections company serving Casper and the surrounding areas. Our staff complete the most thorough and comprehensive inspections throughout Wyoming. 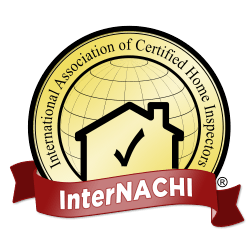 I am an InterNACHI certified home inspector that continually takes education courses through InterNACHI. Therefore you can rest assured you hired a real inspector. You will receive the most professional service in Wyoming and I treat every client with the same respect and courtesy I would expect.